There is something just delicious about anything apple cooked, baked, sweet or savory. I just love a good chunky applesauce or chutney like this. We used this version for a pork chop dinner. Well it was a match made in heaven. Pork and apples are the perfect compliment to one another. Because this chutney is just so versatile the possibilities are pretty much endless. After we ate it with our pork chops, I thought to myself how amazing would this be atop some melted brie and served with some crusty bread or crackers. Yea I know right! That will be my next dish to serve it with for sure! Combine the apples, onion, ginger, orange juice, cider, vinegar, brown sugar, mustard powder, thyme leaves and salt and in a large saucepan. Bring the mixture to a boil over medium-high heat, stirring occasionally. Reduce the heat to simmer and continue cooking, stirring occasionally, for 50 minutes to 1 hour, until most of the liquid has evaporated. I totally love apples in any sweet or savory dish -- this looks perfect for pork! AMAZING! Imagine it on a grilled cheese sandwich! YUM!! 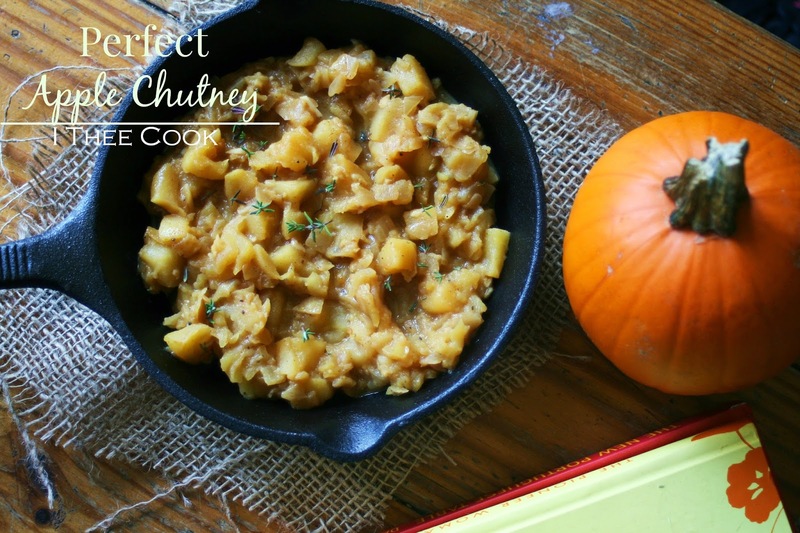 Your Apple Chutney looks so good, we will just love it. Hope you are having a great week and thanks so much for sharing your great post with Full Plate Thursday.